We want to make your Mendocino Music Festival experience ultra-comfortable and wonderfully unforgettable. 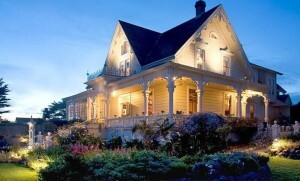 Follow the link to find many extraordinary lodging options, so you can plan to come to Mendocino for a long weekend of music and fun! Winemaking has a long history in Mendocino County since the first Italian immigrants settled the green hillsides. Today 91 local wineries continue the tradition. Explore beautiful wine growing valleys, most just a short drive from the village. Mendocino County offers an array of exciting and refreshing activities for your enjoyment during the Festival. 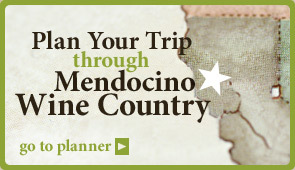 Check out the Visit Mendocino County website for all your travel information needs. 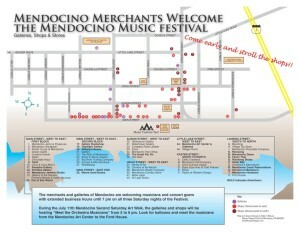 Mendocino shops and galleries throughout the town welcome the Festival with extended hours on Saturdays, and special “Meet the Musicians” events.